The Raiders recently lost a significant portion of their financing for a Las Vegas stadium proposal. They’ve reportedly got it back. The club informed the NFL stadium and finance committees that it received a financing commitment from Bank of America on the proposed $1.9 billion project, a league source told CSN Bay Area on Monday. The Raiders’ relocation prospects looked glum last month, with billionaire casino magnate Sheldon Adelson removed his $650 million commitment to the stadium project after struggling to secure a proper business deal with the Raiders. Investment firm Goldman Sachs backed out of the deal the following day, creating a huge funding gap in a stadium proposal aimed at getting the Raiders out of Oakland. 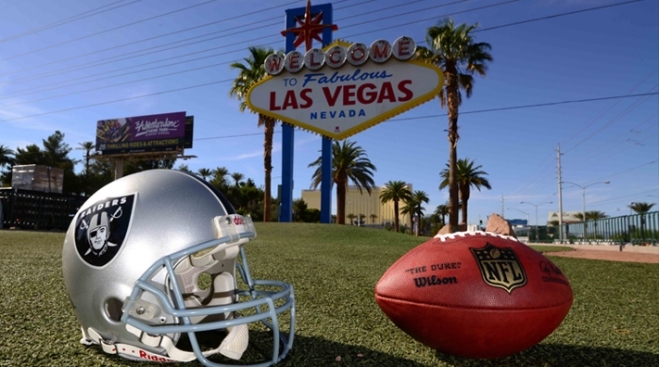 The state of Nevada has pledged $750 million in public funds from a tourism tax, with an addition $500 million coming from the Raiders and a loan from the NFL. Bank of America's backing will fund the rest of the project. The Raiders hope their new financing plan will be well received by the league and set up an opportunity for owners to vote on their Raiders relocation application at the NFL owners meetings from March 26-28 in Phoenix. A vote doesn’t have to come then, and could occur later in the spring or summer.The Raiders will play in Oakland next season, and have a team option to play here in 2018 as well. Oakland mayor Libby Schaff also updated the NFL's stadium and financing commitees on a proposal to keep the Raiders in the East Bay, though it's uncertain how it was received.